A leading UK asset finance firm is plugging into the green taxi revolution being led by tougher legislation and environmentally-conscious passengers. Over the first quarter of 2019, Harrogate-based Ethos Asset Finance – which is one of the country’s principal finance providers to the taxi, chauffeur and private hire sectors – has seen enquiries for the sourcing and funding of electric cabs rise by 15 per cent. The London Electric Vehicle Company (LEVC) – which makes electric black cabs – reported that in the traditionally quiet month of October (2018) it had sold 172 electric taxis across the UK, 160 of which were purchased through its London dealership. And with Transport for London introducing legislation that requires all new taxi services operating in the capital to be zero emissions capable, it is forecast that by the end of 2020 some 9,000 of the city’s 21,000 taxis would be electric. 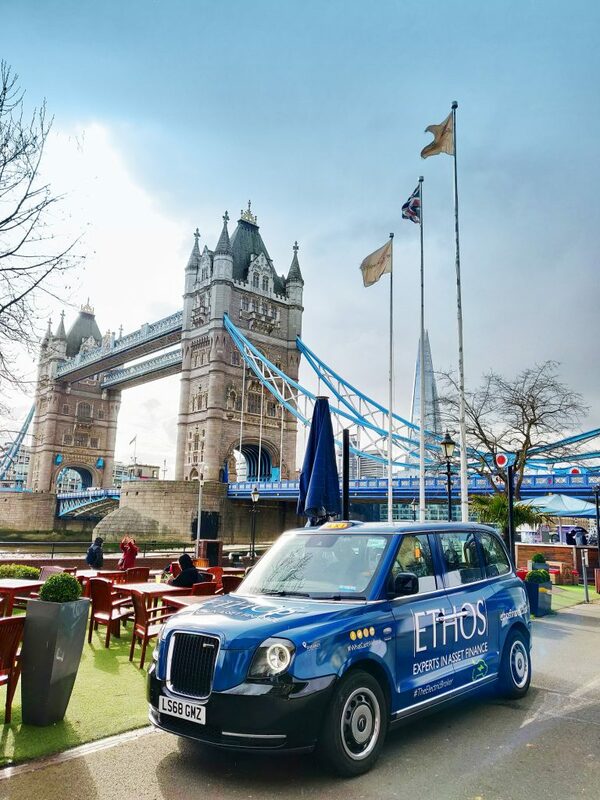 To raise awareness that finance for electric cabs is available to cabbies, Ethos Asset Finance has sponsored a LEVC-built taxi to cleanly – and quietly – operate around the streets of London. Chris Brown, who set up Ethos Asset Finance in 2007 after two decades in the banking industry, said: “Over the last 12 years we have become the ‘go to’ finance expert for firms and individuals operating in the taxi, chauffeur and private hire sectors. “In the early days we were purely financing petrol and diesel cars, but over recent years these are steadily being overtaken by hybrid and electric vehicles.